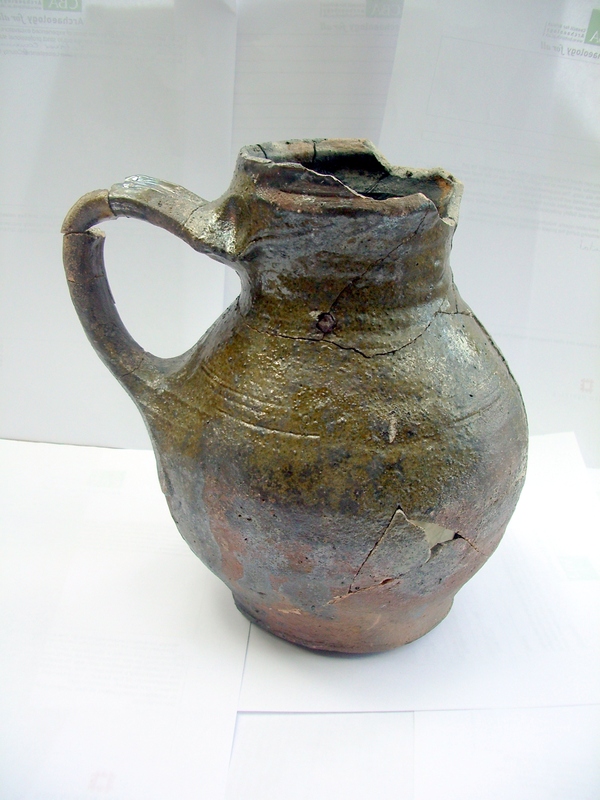 This is the medieval green glazed ware jug found at the bottom of the well, where it has lain unseen for more than 600 years! 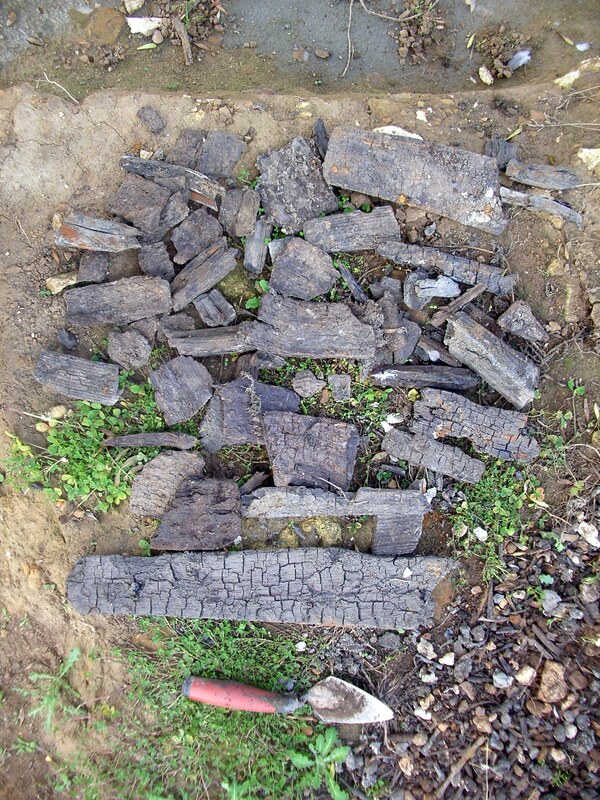 It is almost complete, we are still searching for a few more small pieces. 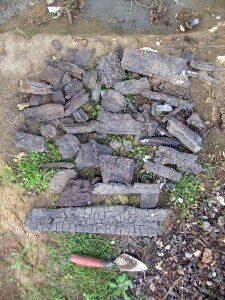 These are the wooden staves from the bucket found at the bottom of the well. 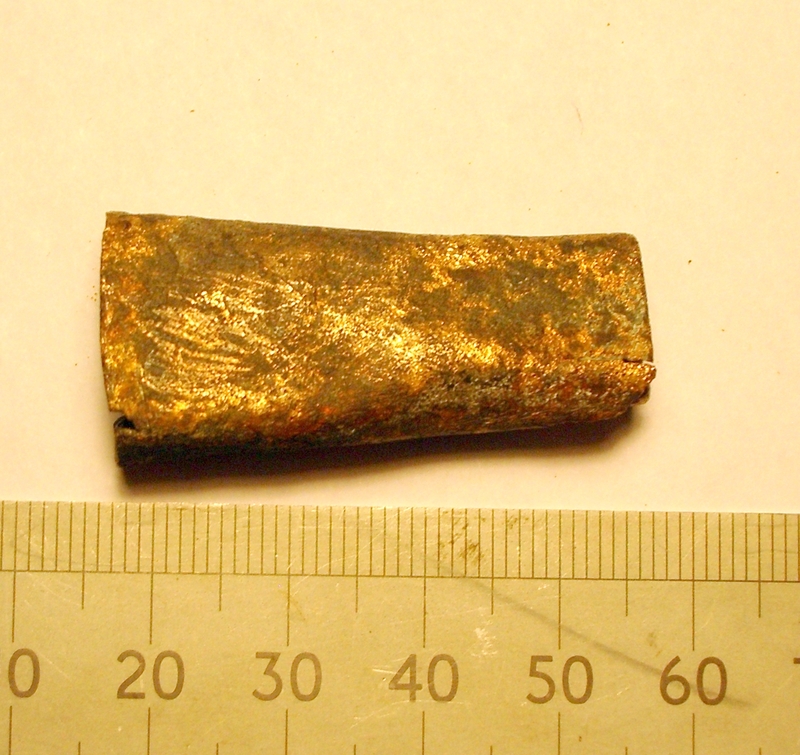 This is believed to be a gilded medieval ‘chape’, the tip of a medieval knife sheath. 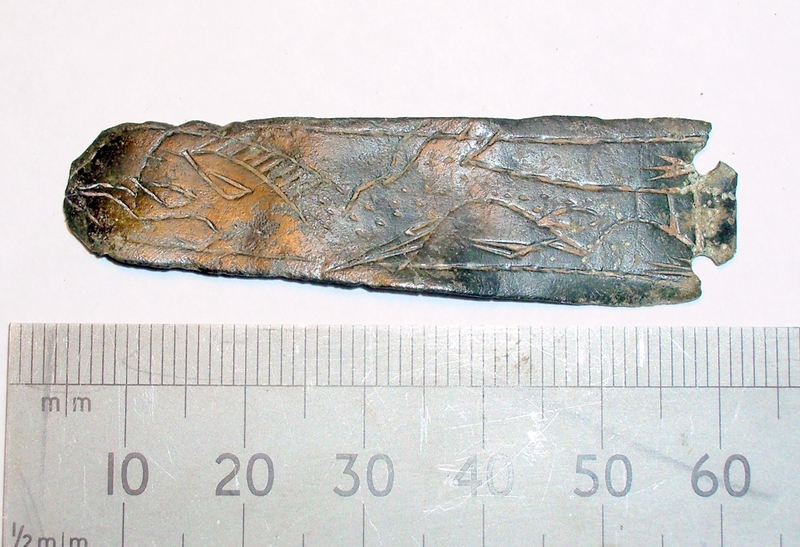 This is a 12th century strap end decorated with a lovely dragon design.